The Photo of the Moment is from Farm Aid 2013 in Saratoga Springs, New York of Willie Nelson, Neil Young & Lukas Nelson. 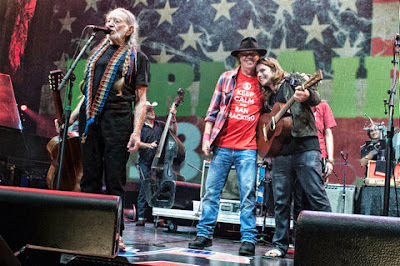 Neil Young and Lukas Nelson -- "the future of Farm Aid" -- share a hug. the passing of the torch! Sooo many Sacred moments at Farm Aid 2013! We return all the more committed to doing what we can for Mother Earth and our connection to one another.